The simple answer to the question is this: We should ignore people who are guilty of blasphemy and tell them that the great man whom you are targeting in your acts of blasphemy is the one who has taught us to ignore what you are doing. There were at least three cases of blasphemy which were committed against the prophet and the message of Islam that have been mentioned in Qur’an. In none of them was there an indication given by God that those who were guilty of the offence ought to be killed. If there was to be a punishment for blasphemy, clearly it was in Qur’an where it should have been mentioned, especially when the book mentioned the possibility of its occurrence during the prophet’s lifetime. The passages in which cases of blasphemy have been mentioned are found in the Qur’an in the following verses: 2:104; 5:57-58; 63:7-8. 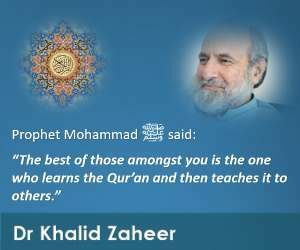 In the first passage, Qur’an informs us that there were some hypocrites who used to come to the prophet’s gatherings with the motive to tease him in a way that their cheap, sinful desire to deride him could be satisfied on the one hand and yet their offence could go unnoticed on the other. For that purpose they used to address the prophet by saying ra‘ina (please say it again) in a way that they would twist their tongue to prolong the vowel ‘i’ so as to give a sound of a word that would mean “our shepherd”. Instead of condemning the perpetrators of this crime to any punishment, however, the Qur’an said this to believers: “Believers, don’t say ra’ina, instead say unzurna and listen carefully (so that you don’t need to ask the prophet to repeat his statements)”. (Qur’an; 2:104) The word unzurna, like ra’ina, served the same purpose. Clearly it was a good occasion for the Almighty to mention and implement the punishment for blasphemy, if there was any. The second passage that mentions an insulting attitude of the disbelievers towards the prophet was this: “Believers, don’t make such individuals from amongst the people of the book and the disbelievers (of Makkah) your friends who tease and make fun of your religion. And fear Allah if you are true believers. When you are called for prayers, they make it (that call) an object of ridicule. This they do because they were a group of people who don’t know (the truth).” (Qur’an; 5:57-58). Had the intent of the divine law been to kill those who made fun of religion, this was the best occasion to make it unambiguously clear. Instead, believers were asked to ignore and not make such foolish people their friends. The third passage relevant to the topic appears in the sixty-third chapter of Qur’an titled “Hypocrites”. The chapter talks about the nefarious designs of the leader of the hypocrites and his followers, who, in one of the expeditions of Muslims to outside Madinah, insulted the prophet and his companions in the following words: “They say when we shall return to Madinah the honorable shall expel from there the mean, even though honour is for Allah and His messenger, and believers, but these hypocrites are unaware.” (63:7-8) Indeed what Abdullah Ibn Ubay, the leader of the hypocrites, and his followers said was clear blasphemy. However, the tolerant message of God didn’t demand their head. Instead, the Almighty only clarified the truth in response to the blasphemy the hypocrites had uttered. 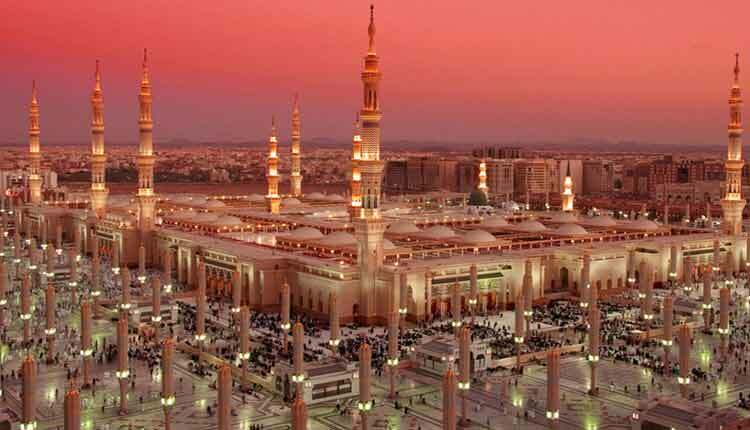 Abdullah Ibn Ubay later died a natural death in Madinah. Despite the fact that he wasn’t living in a foreign land but in the very city of which the prophet was the ruler, he didn’t face death in retribution for the clear act of blasphemy he and his companions were guilty of committing. The question that should naturally arise is that if Qur’an was so clearly not requiring any punishment for blasphemy, why were Muslims demanding that those guilty of this offence should face death? The answer to this question is that there were indeed some disbelievers who were killed for being guilty of blaspheming against the prophet during his lifetime. 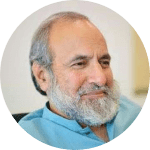 Those who demand capital punishment for the blasphemers believe in the light of those incidents that such was the punishment for all blasphemers. The fact of the matter is that, as we have clarified above, there was no punishment for blasphemy in Islam. However, those people who directly received the message of God through His messengers were destined to be killed in accordance with the law that was applicable to such people only. It has been clarified in the Qur’an that such people were destined to receive divine punishment, in one form or the other, after a certain God-ordained deadline was reached. That deadline had already reached for the disbelievers of Makkah, thirteen years after the prophetic mission had started, at the time when the prophet and his companions were forced to migrate from the city to Madinah. However, God delayed the time of inflicting the punishment in accordance with the considerations of the circumstances of the believers and the disbelievers. The first phase of that punishment took care of the entire leadership of Quraish, the clan that ruled Makkah, two years after the migration in the Battle of Badr. That process continued for different people on different occasions. When the people of the book, the Jews and the Christians, criminally denied the prophet’s message, they too became eligible for the divine punishment. However, in their case the punishment was relaxed to not necessitate death for them. Instead they were forced to live the life of second-rate citizens in the Muslim society on paying Jizya, the non-Muslim tax. (Qur’an; 9:29) However, because those Jews and Christians who had denied the prophet’s message were guilty of an unpardonable crime, the more blatant criminals amongst them — those who didn’t just deny the messenger’s message but went on to tease, insult, and threaten his life — were considered worthy of being killed like their counterpart polytheist disbelievers of Makkah. Clearly, such punishments were meant to be applicable to a certain group of people living in a certain era. Their crime and the rationale for their punishment have both been mentioned in the Qur’an. For the rest of the people, the general rule of the Qur’an mentioned above to ignore the foolish blasphemers would continue to remain applicable.